The Chilson Table and Bench Set has been a phenomenal hit, yet not all homes have the space for this vast furniture collection. To accommodate homes with smaller dining rooms, conservatories and gardens we're launching the set in a smaller size. Seating 6-8 people, it's sold complete with the table, two benches and two stools. 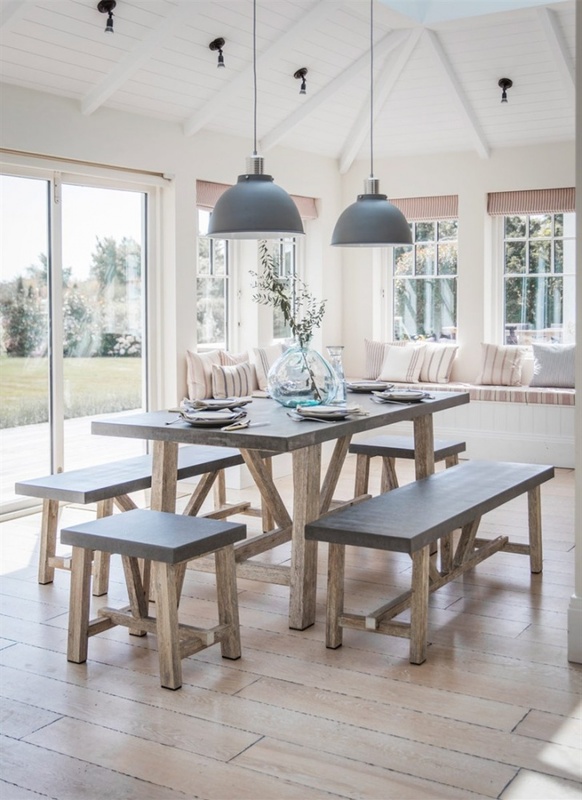 The more relaxed style of benches and stools for the dining area emulates quirky restaurants and gives a sleek upgrade to traditional dining sets.